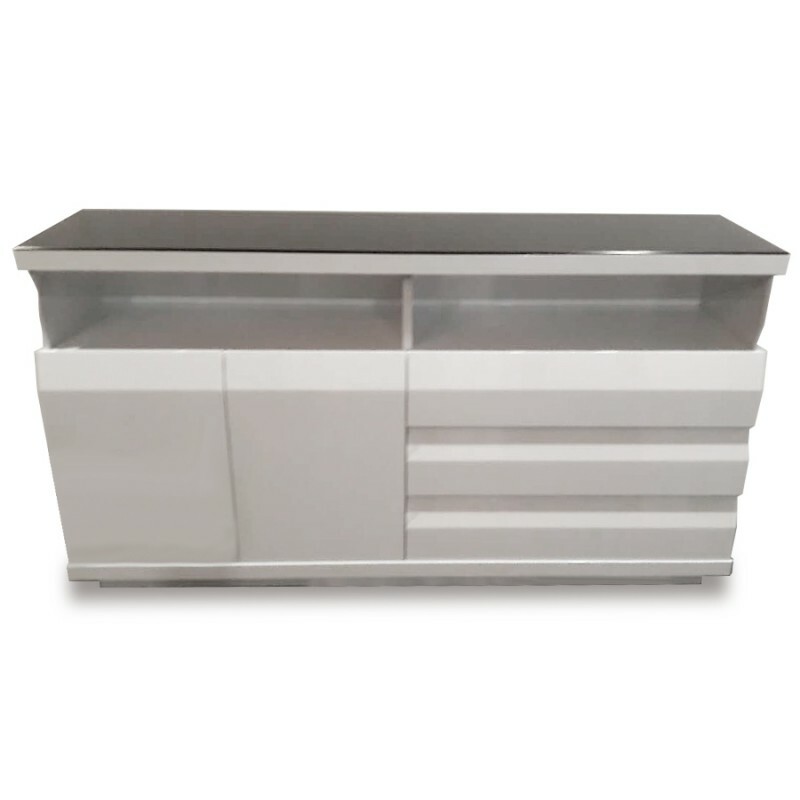 High-quality buffet cabinet with a very smooth PU high gloss finish and black tempered glass finish. Making it the perfect in the dining room, living room or hallway. 3 Drawers with metal rail, with soft closed storage doors. Dimensions：W 1500 x D 400 x H 800 mm. Note: If you are our member/customer, you can login with your account to see more of our new furnitures.